How far will KHIII stray? 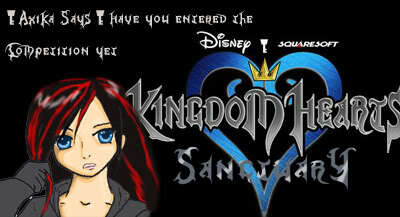 Kingdom Hearts Sanctuary » Forum » Kingdom Hearts III » How far will KHIII stray? Oh, and can I ask you a question. I though it was like com. So I thought it was on the computer. thats a secrte! i highly HIGHLY doubt that terra is soras dad.its only becouse he has brown hair like sora. but come on,you even fight him in khii fm+. yeah.. plus now I've seen he seems to die in the trailer. Plus, Xehanort has something to do with it!! XIII wrote: thats a secrte! i highly HIGHLY doubt that terra is soras dad.its only becouse he has brown hair like sora. but come on,you even fight him in khii fm+. 1.) Lasers but then again what boss doesn't have that??? 11 Re: How far will KHIII stray?